Sometimes, late at night, I make lists. My husband claims this is a weird thing to do. But you never know when it might be absolutely necessary to turn on the bedside lamp and scribble out a list for lemons, postage, and tea. And if I had this, I would always be ready for those random midnight obsessions. im a self proclaimed list maker too!!! thanks for the blog love! 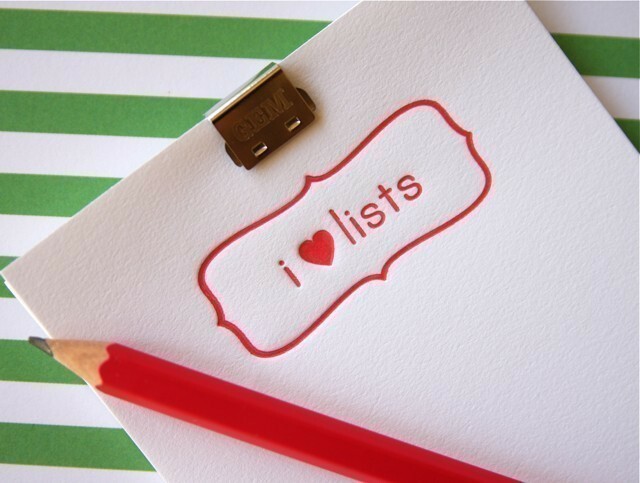 i'm a list maker myself ... a bit obsessive but can't help it!